Home Unlabelled Air Austral's Ewa Airlines starts Dzaoudzi - Dar es Salaam flights. Air Austral's Ewa Airlines starts Dzaoudzi - Dar es Salaam flights. 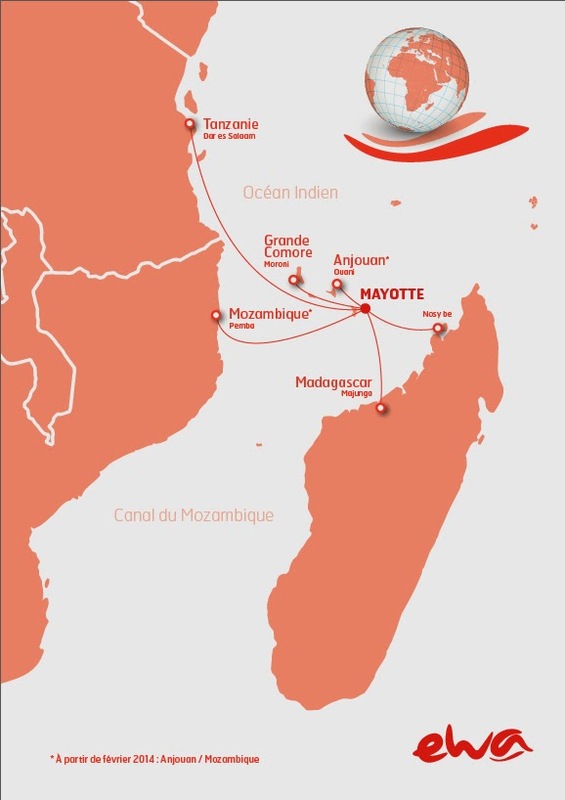 On saturday 16th November 2013, the first Mayotte airline called Air EWA has launched the connection between Dzaoudzi ( Mayotte ) and Dar es Salaam ( Tanzania). 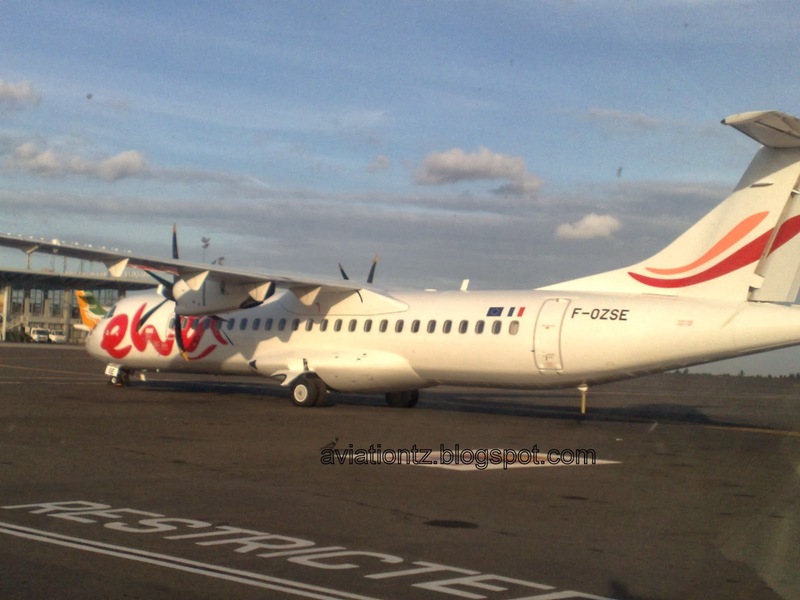 The inaugural flight (UU280) to DAR operated by Air EWA on ATR 72-212A reg. F-OZSE landed at Julius Nyerere International Airport (JNIA) around 14h35Z and was scheduled to take off on Sunday at 8h45Z. EWA Air operates one of Air Austral's three ATR 72-500s using Dzaoudzi Pamandzi International Airport as a hub. The current timetable from the airline's website shows that, in the period 09/11/13 -29/03/14 Ewa Air will be operating into Dar es salaam once per week with arrivals on Saturdays 17:35LT and departures on Sundays 11:45LT, i.e there will be a night stop at DAR. Officially launched in May 2013, EWA Air is owned 52.3 % by Air Austral (UU) and 47.7% by other partners, including Mayotte Chamber of Commerce and Industry (CCI Mayotte) (22.7% ) and the Yland Investment consortium ( 25%). EWA Air will serve six Mayotte direct connections from Dzaoudzi : to Madagascar (Nosy Be with two flights per week , Mahajanga with three flights per week) , to Mozambique ( Pemba with two flights per week in partnership with LAM , there - also subject to government approval ) to Tanzania (Dar Es Salaam with one flight per week ) , and of course to Comoros (Moroni with two flights per week and an additional frequency in partnership with Air Austral , Anjouan 4 flights per week). Pemba (2x weekly in partnership with LAM - Linhas Aéreas de Moçambique (TM) though this is still unconfirmed).